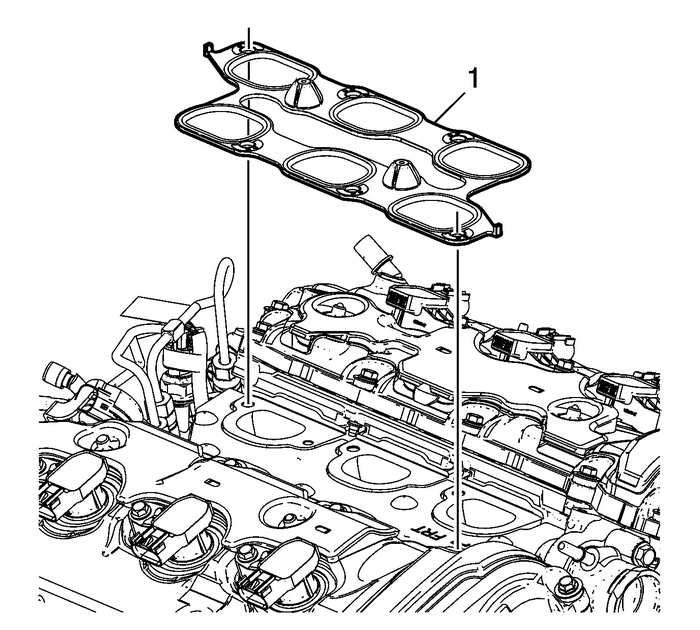 Disconnect and remove the positive crankcaseventilation-(PCV) tube-(1) from the intakemanifold and right camshaft cover. 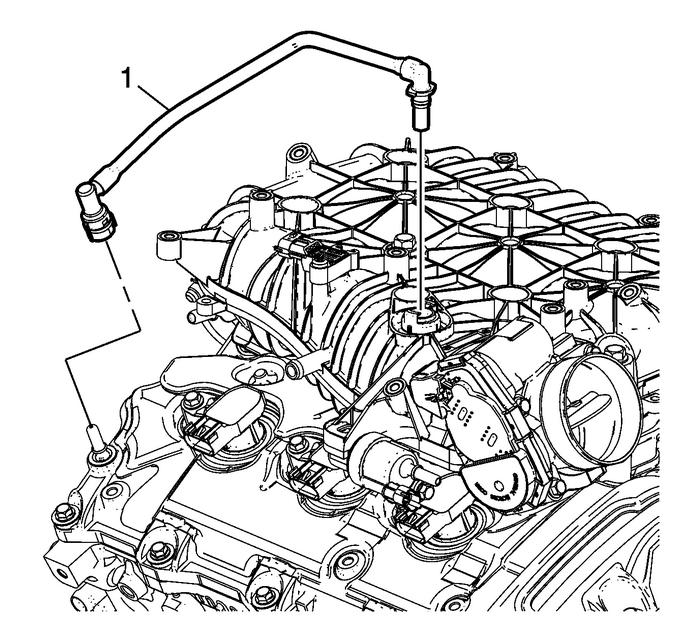 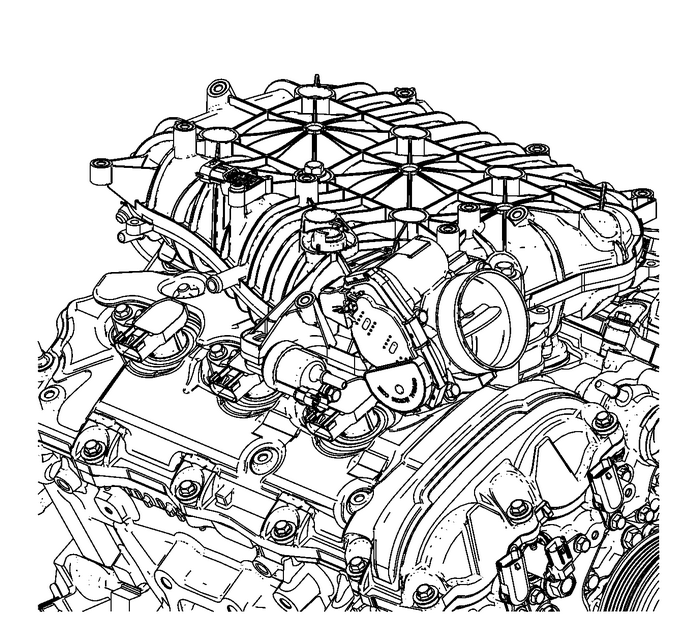 Remove the evaporative-(EVAP) hose from the intakemanifold and EVAP solenoid. 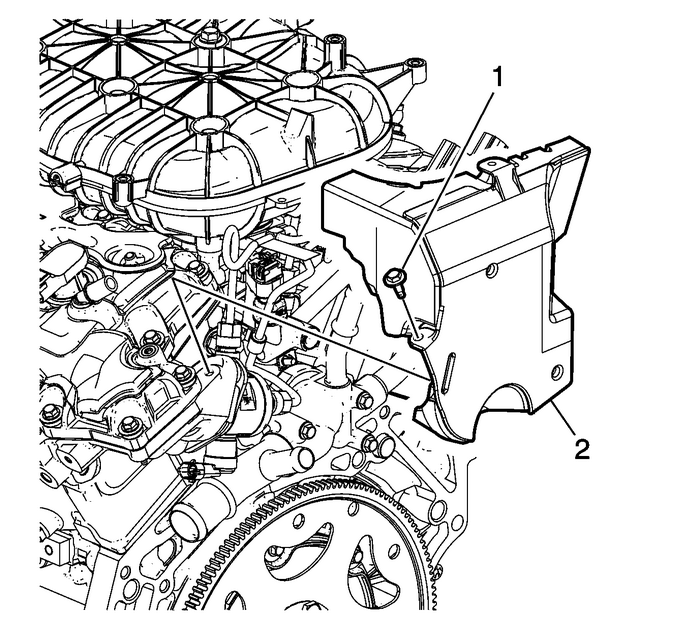 Remove the fuel pump cover bolt-(1).Remove the fuel pump cover-(2). 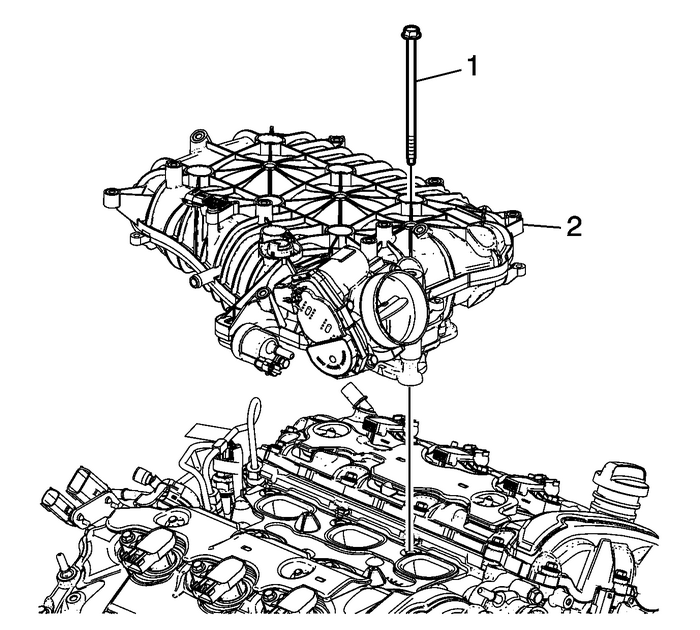 Remove and discard the intake manifoldgasket-(1).